Drake’s singles, “God’s Plan,” “Nice For What” and “Nice For What” have dominated the top of the Billboard Hot 100 all year. “In My Feelings” has been the number one song on the chart for nine weeks straight at this point and it’s more shocking to hear it drop from its top position than maintain it. However, it looks like Maroon 5 and Cardi B’s “Girls Like You” is coming for the top spot next week. 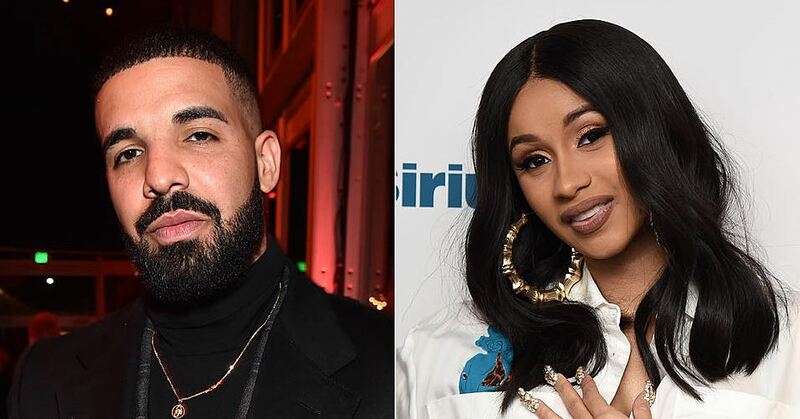 Drake’s single “In My Feelings” and Maroon 5’s “Girls Like You” ft. Cardi B is competing for the #1 spot on the Billboard Hot 100 next week. “Girls Like You” has been sitting at the number 2 position for about five weeks at this point while “In My Feelings” held the top position. According to Nielsen Music, “In My Feelings” is expected to gain 40M U.S. streams and 17K downloads at the end of the tracking week as well as 85M in radio audience. “Girls Like You” is expected to reach 28M U.S. streams, 18K in sales and 130M in radio audience by the end of the tracking weeks.